I only have two more half rows to go on the quilt. 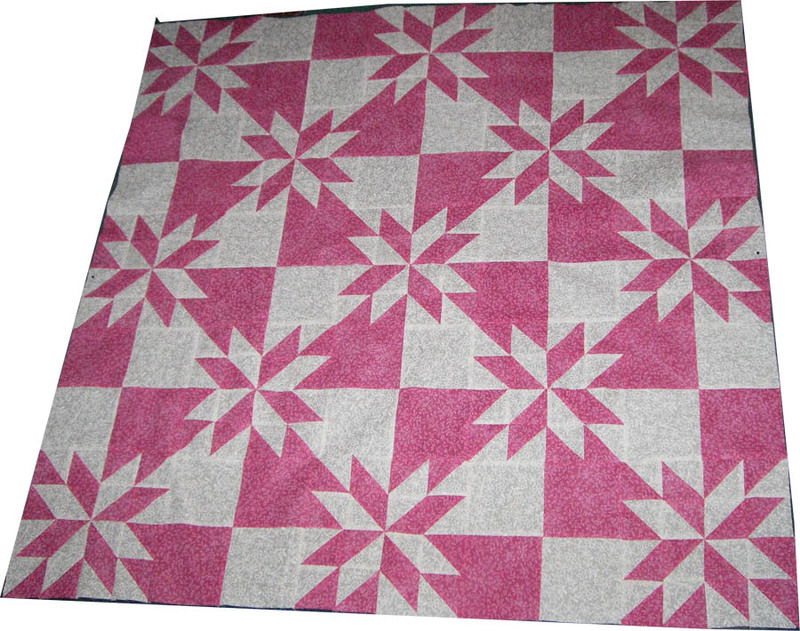 One half row on both the top and bottom to change the square quilt below into a longer quilt. I have all the pieces cut out with the AccuQuilt Go and the half triangles have been sewn together. All I need to do is iron the half square triangles and then assemble and connect the rows. I'm going to whip up a quick tutorial on this quilt. It went together so fast that I'm sure other's that have the AccuQuilt Go Value Die would like to complete it. I just got a Accuquilt cutter. I love it. I also like your quilt. A turorial would be great.